“What items do I need to pack for my newborn for daycare?” This is a common question for new parents and parents who have never dropped their child off for child care or at a local daycare. If you’ve decide your child is ready for preschool or to use daycare for your newborn, you will want to pack a few things with them. The daycare or child care professional should provide a list of items they will need in order to care for your newborn each day. If a list is not provided, be sure to ask as many questions as necessary so you are confident in what to pack for your baby for daycare. 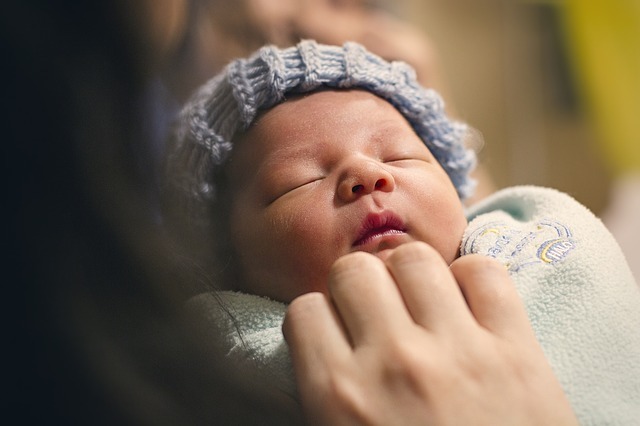 For Cornerstone Academy in Kenosha, we inform all parents of what we will need each day to ensure we provide the very best care and comfort for the newborn babies and other children under our supervision. You should bring in new diapers for your newborn at the begging of each week and label the diaper bag with the name of your baby on it. If you don’t know exactly how many diapers your baby will need each day or over the course of the entire week at daycare, we recommend bringing 8-10 for each day or around 50 for the week. It is better to bring too many diapers instead of not enough. Wipes and diapers go hand-in-hand. You will want to pack a full package of wipes in the bag of diapers each week and monitor how many are left at the end of each day in case another package is necessary before the week is over. Provide diaper rash cream or ointment for the daycare in order to help ease the pain and discomfort of diaper rash for your newborn. The daycare will have some on-hand at their facility but because these creams and ointments are technically medicinal you will probably be more comfortable purchasing the brand and type of ointment you want the daycare to use. Newborn babies often will not nap without a pacifier. This is why it is important to pack 2-3 pacifiers for your newborn each week in case one or two are lost throughout the course of a day at daycare. Unfortunately, it is common to lose pacifiers as they’re small and will sometimes often fall out of a newborn’s mouth unnoticed. Be sure to pack at least one extra outfit in addition to the outfit your newborn is wearing when you drop them off for child care. The reason is obvious in that “accidents” from both food and going to the bathroom are very common in newborn babies and you do not want your newborn to have to sit or nap in dirty clothing the entire time he or she is at their daycare. Don’t forget to pack any necessary, prescribed medications that your newborn needs during the day. Include specific instructions on when the medication should be administered and how much of it and be sure to label all of the medication if their isn’t information on the package or container it is in. Consult your daycare or child care provider on how they deal with breast milk. Some facilities prefer frozen packages stored on-site while others prefer fresh packages to serve each day. This differs from daycare to daycare. You should also have premeasured containers for formula if your baby is drinking formula instead of breast milk. The good news is that most daycares have most of these items on-hand should you forget diapers or a pacifier. But be careful to remember medicines and breast milk because if those items are forgotten it will require you to return to the daycare mid-day to drop them off for your newborn. Learn more about our child care services for newborns at Cornerstone Academy in Kenosha, WI.